A native of Eurasia, the Chukar is the national bird of Pakistan and can be found in Israel, Turkey, India and all the way to the inner Himalayan ranges that extend into Nepal. This bird was brought west to the US, Canada and New Zealand. The Chukar has even found fame as the name and mascot of the Idaho Falls, Idaho minor league baseball team. 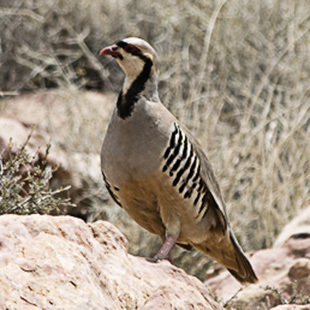 Wherever it lives in the world, the Chukar enjoys a habitat on drier, rocky, open hillsides covered in scattered scrub and grass where it can feed on the leaves and seeds of a variety of grasses. In the United States they can be found in the Great Basin and farther north towards western Idaho and eastern Oregon and Washington. A robust and long bird, the Chukar is 13 to 14 inches long and has a gray breast and light brown back. This bird’s name is derived from its boisterous song of “chuk, chuk, chukar, chukar”. 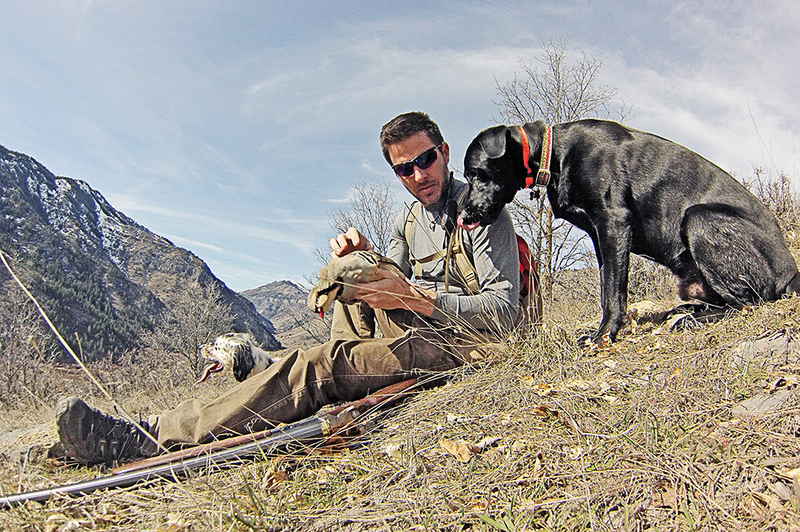 Chukars stay in smaller coveys when they are not in mating season. When alarmed, they prefer to run rather than fly, but will fly short distances, mostly down slope. Their home range is small, typically no larger than a three mile radius. The Chukar has become a popular breed to hunt in the western United States because of the challenging nature of the hunt, long season and vast public grounds covered. A 20 gauge shotgun is the practical choice to bring along, although some hunters prefer lugging a 12 gauge. Photo Courtesy of Chuck Abbe. 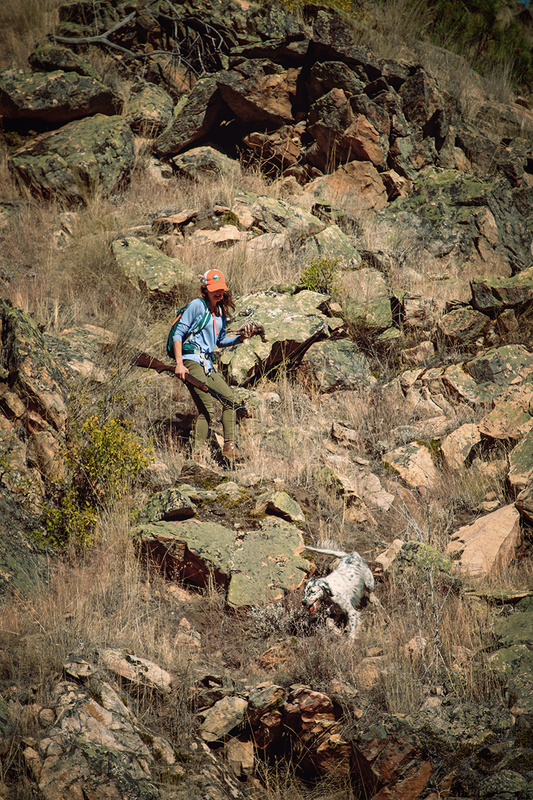 When I hunt alone, which is often the case, there’s a certain ritual to leaving the truck. It’s become habit without much thought anymore….